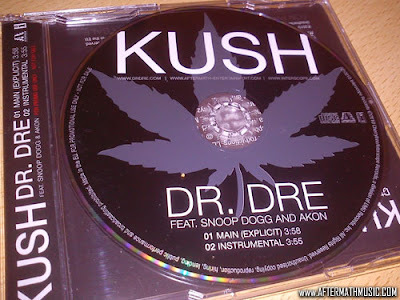 Rap Research Archive: Dr. Dre, Kush credits (booklet scan) & Dj Khalil speak on it. 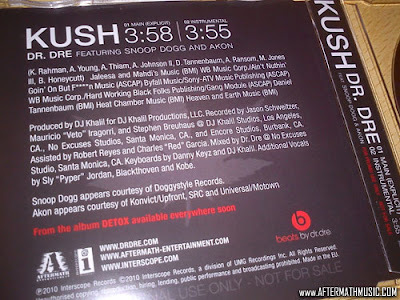 Dr. Dre, Kush credits (booklet scan) & Dj Khalil speak on it. DJ Khalil: “I had this vocal of Kobe saying, ’Hold up, wait a minute.’ I had that line and I saved it for like a year because I knew it could be a dope club record for whoever. 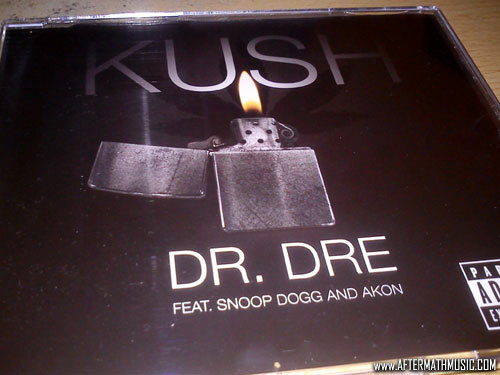 I remember I was in the studio and I was playing the vocals, and Dre was like, 'Yo, who is that?' I was like, ’That's Kobe.’ And he was like, 'Yo, that's a hit already.' So I just started making the beat around it. We recorded another hook before they put Akon on it, and another singer named Blackthoven did the bridge. So we had a bunch of parts to it and I sent it over to Dre. I still have the text in my phone where Dre was like, 'Yo, this ’Kush’ beat is incredible!' He was really excited about it because he knew it was just a good party record. I'm not really known for [party records], but that was my attempt for Dre. He just wanted a buzz single. So I worked on that for a minute. We tried so many hooks on that. That record went through so many stages.